Can a calculator predict your risk of heart attack and stroke? 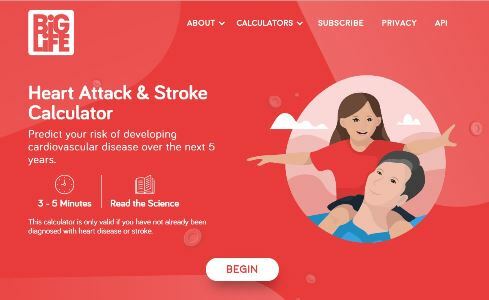 Canadian researchers have built and validated an online calculator that empowers individuals to predict their risk of cardiovascular disease. Their process was published today in the journal CMAJ, and the calculator is available at projectbiglife.com. Cardiovascular disease, a group of conditions that include heart attack and stroke, is the number one killer in Canada. While risk calculators already exist, they usually focus on factors that require medical tests, like blood pressure and cholesterol levels. 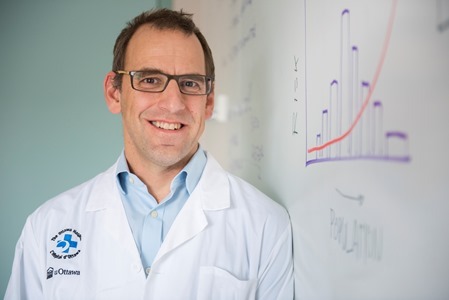 “What sets this cardiovascular risk calculator apart is that it looks at healthy living, and it is better calibrated to the Canadian population,” said Dr. Doug Manuel, lead author on the paper and a senior scientist at The Ottawa Hospital, professor at the University of Ottawa, and a senior core scientist at the Institute for Clinical Evaluative Sciences (ICES). Based on survey data from over 100,000 Canadians, the calculator lets individuals accurately predict their risk of hospitalization or death due to cardiovascular disease within the next five years. For example, if their risk is five percent, it means that five in 100 people like them will experience a serious cardiovascular event in the next five years. The calculator also provides heart age, an easy-to-understand measure of how healthy the heart is. The calculator can also be used by policy makers to better understand population health risks and help plan for the future. CVDPoRT will be added to a list of existing calculators on Project Big Life that help Canadians estimate their own life expectancy based on habits and lifestyle choices. The calculator was based on data from the Statistics Canada Canadian Community Health Surveys and housed at ICES. Currently calibrated for use in Canada, it can be adapted for any of the 100 countries around the world that collect health survey data. Funding: This study was possible because of generous donations to Practice-Changing Research at The Ottawa Hospital. It was also supported by the Canadian Institute for Health Research, the Canada Research Council Chair in Health Services Research, the Institute for Clinical Evaluative Sciences, and the Ontario Ministry of Health and Long-Term Care. About The Ottawa Hospital: Inspired by research. Driven by compassion.